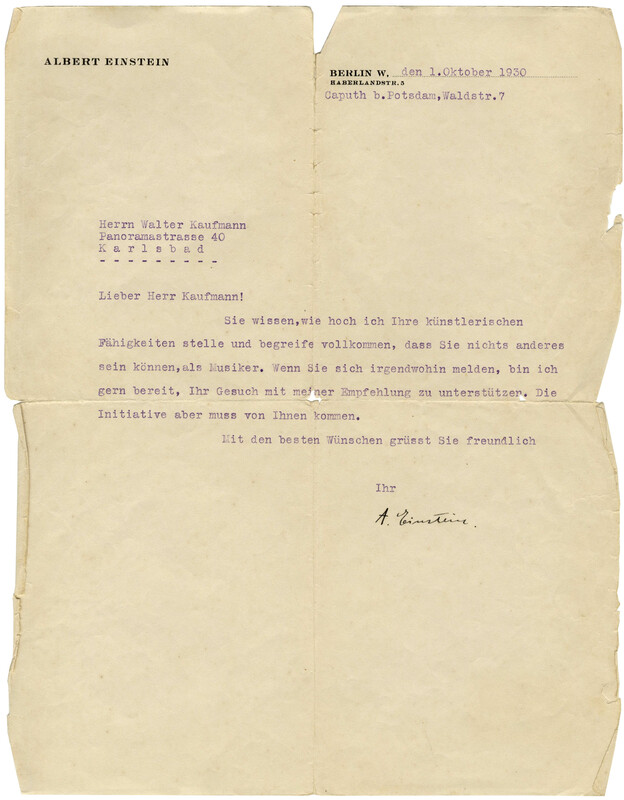 Albert Einstein letter signed Walter Kaufmann, classical music scholar and composer of ''The Scarlet Letter''. 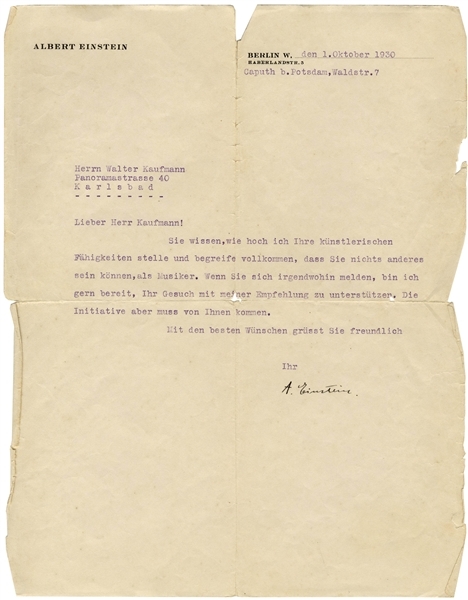 Dated 1 October 1930 on Einstein's personal stationery from Berlin, Einstein writes in German, translated, ''Dear Mr. Kaufmann! / You know how highly I esteem your artistic competencies, and it is completely clear to me that you are not able to be anything other than a musician. 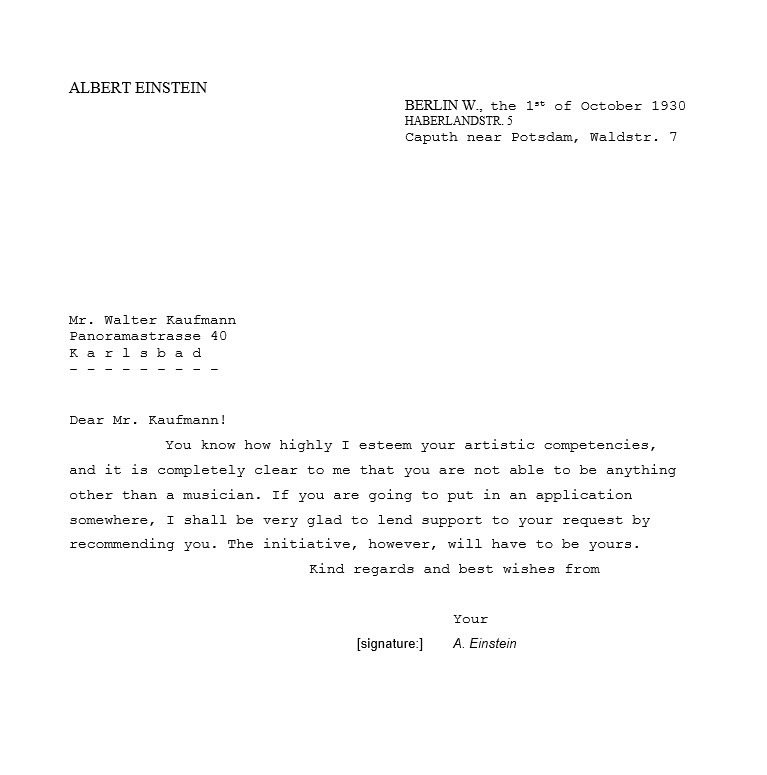 If you are going to put in an application somewhere, I shall be very glad to lend support to your request by recommending you. The initiative, however, will have to be yours. 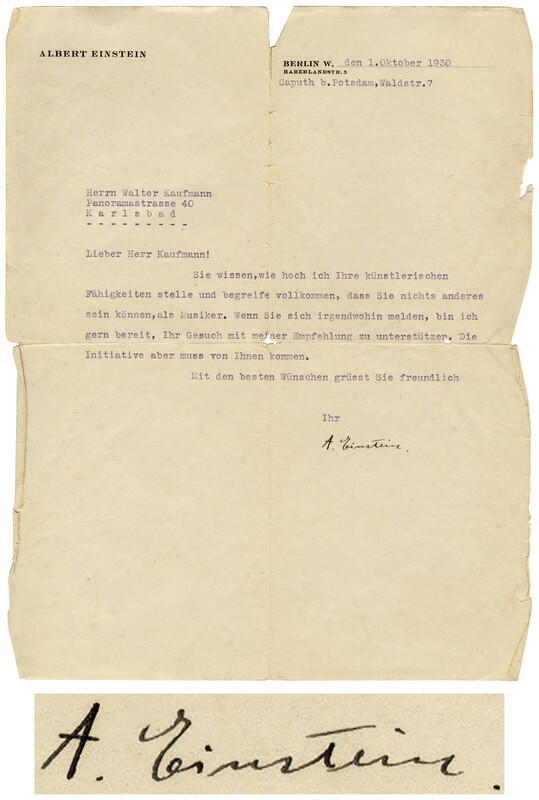 / Kind regards and best wishes from / Your / [signed] A. Einstein''. 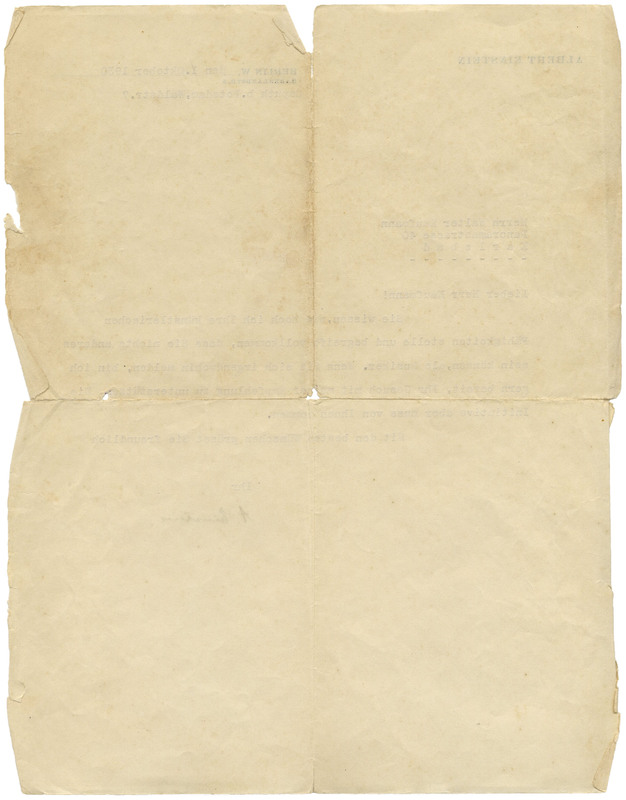 Letter measures 8.75'' x 11.25''. Chipping at edges and separation along folds, with small holes at intersecting folds. Overall very good condition.